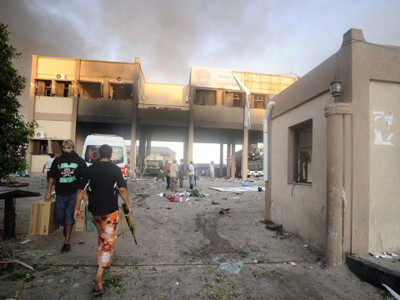 Colonel Gaddafi’s hometown of Sirte, where the fugitive Libyan leader is believed to sheltering, is under fierce attack. 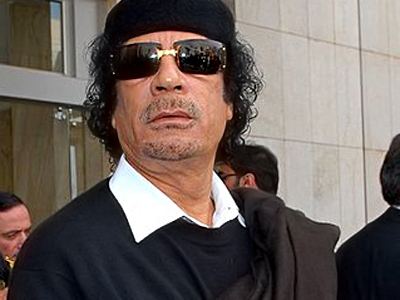 However, reports have emerged saying that Gaddafi could have left the country already. 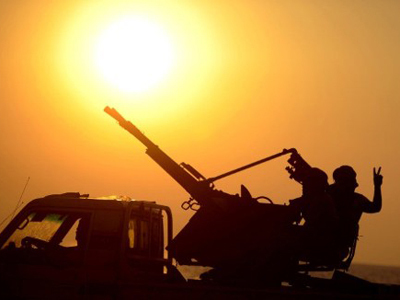 ­British warplanes have bombed SIrte in the last 24 hours, according to NATO. The town has been targeted many times lately, but it remains one of the few places the Libyan leader could still be hiding in, with most of its population reportedly supporting the colonel. A rebel detachment is heading there to the town, which is located some 400 kilometers east of the Libyan capital Tripoli, their aim being to find Gaddafi so that they can officially oust him from the leadership. Sirte remains one of the very few places Colonel Gaddafi can go. Meanwhile, Egyptian state news agency MENA reported on Saturday that six armored black Mercedes cars crossed the border and headed to Algeria. Colonel Gaddafi could have been in one of the cars, the report says. According to Reuters news agency, rebels tried to follow the cars, but had to give up due to a lack of munitions. Libyan military sources said the Mercedes bullet-proof cars, thought to be carrying Libyan leader Muammar Gaddafi and his sons, left Libya for Algeria through the border, without any pursuit from the rebels. But a high Algerian official said that it is very unlikely that Gaddafi could have fled into Algeria, as reported by Italy’s La Repubblica. The newspaper says the official, who is in a high position at the border with Libya, spoke on condition of anonymity. In the meantime, more countries are joining in to 'offer' shelter to the fugitive colonel. The political opposition in Zimbabwe claims their spies saw Gaddafi arrive in the country on a Zimbabwe Air Force jet provided by Zimbabwean President Robert Mugabe. Al Jazeera TV channel, meanwhile, reports the Libyan leader is now said to be heading for Angolan exile under a South African-brokered deal. However, the South African international relations minister brushed aside the claims. 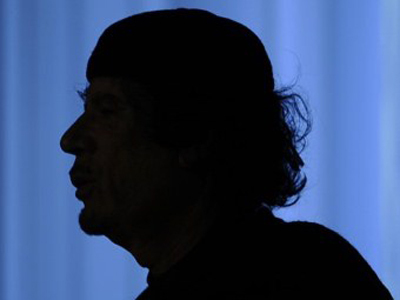 ­Blogger Christopher Keeler, who writes for “Notes from a Medinah” blog, believes there are reasons why Colonel Gaddafi has not fled the country – besides the fact that he vowed he would never do so. “Just the other day the rebel forces were able to take the border with neighboring Tunisia under control, meaning it would be very difficult for Gaddafi to get through that border,” Keeler told RT. “There is also the fact that he vowed that he was going to stay in the country. His presence in Libya would be the only inspiration that Gaddafi loyalists still have to continue fighting. Should word come out that he has fled, the remaining Gaddafi loyalists will follow immediately”. Meanwhile, Libyan rebels captured the Ras Jdir border post on the boundary with Tunisia, a possible escape point for Gaddafi to flee the country. Over 100 rebels arrived at the post on Friday, but it is reported there were no real clashes. “There were not any real clashes; the loyalists took off and the rebels’ flag was raised at the border post,” a Tunisian official told the Express Tribune. 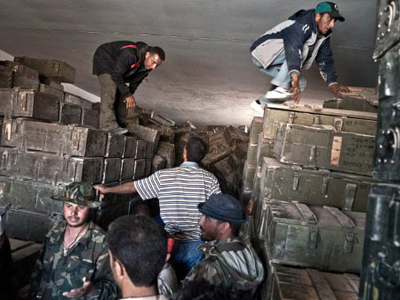 On Thursday, the National Transitional Council (NTC) moved many of its top figures from Benghazi to Tripoli, just days after rebel fighters overran Tripoli and seized Gaddafi's headquarters.